When you're forced to watch your goalkeeper sky a good chance in the opposition's penalty area in injury time, you know something's wrong. Since the crushing and euphoric win over Sevilla back in October, the wheels have fallen off the Valencia bus, as the team missed a great chance to take advantage of defeats for Real Madrid, Atletico Madrid and Sevilla and end the year on a low note. I said before that talk of a crisis was premature and it still is, with the team well placed. Most of us would have been delighted at the start of the season to be third, 5 points clear in the Champions league places but the simple fact is that recent signs are very worrying and the team has now only had a win and draw in the last 5 games and even that draw probably should have been a loss against Barcelona, who have galloped out of sight in the title race, with Valencia's focus now turning to maintaining its place in the top four. In recent games, the team could at least blame injury problems for poor showings, but today that didn't even apply. Sure, Soler and Gaya were out but the absence of two players shouldn't affect a team that way. Overall, the match had shades of last season's Valencia: probably the better team overall but coming away empty handed as Villarreal played the way that ummm, Valencia had played earlier in the season: defending well and, while having limited chances, hitting us with dangerous counter-attacks and scoring from one of them. The goal was avoidable. 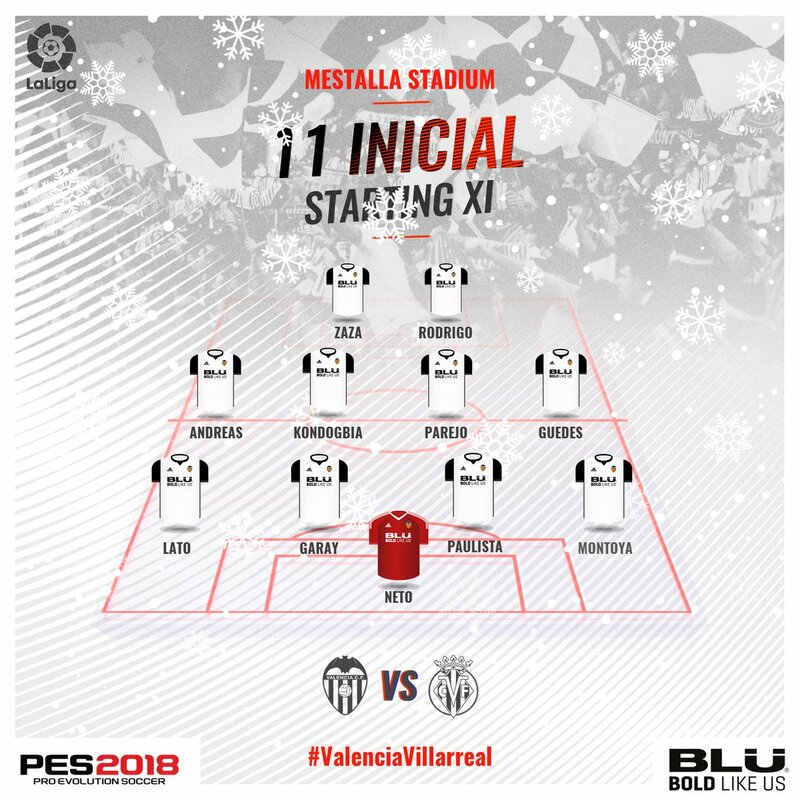 Montoya had a better game in attack but got caught out at the back and failed to stay with Bacca, while Paulista played him onside and for the rest of the game Valencia just couldn't score. There was the usual crap refereeing as well. Valencia should have had a penalty just before half-time due to a clear handball but the referee missed it. Later in the game, Zaza lunged in with a couple of silly fouls and largely ended our hopes of a comeback by getting sent off for a second yellow. After that, Mina came on, with Valencia playing a back three but that left us vulnerable to counter attacks, though luckily they missed a few chances. 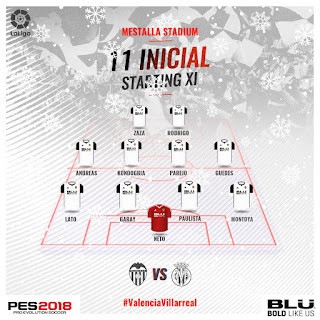 While Valencia did play with spirit in the late part of the game, not even the sending off of a Villarreal player in the 82nd minute could change things. To add to the misery, Kondogbia's fifth booking means he's out for the next league game as well. The team has had a good season so far but risks losing what we've gained. We need to seriously improve in the New Year, as the 5-point gap is vulnerable, especially since we will face tricky trips to Barcelona, Atletico Madrid, Sevilla and Villarreal in the second half of the season.